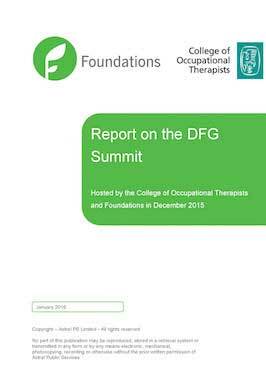 Follow-up report from DFG summit held by Foundations and the College of Occupational Therapists that brought together Occupational Therapists, HIA managers, Grant Officers, Government officers and leading policy people to discuss good practice in the delivery of the DFG. The follow-up report is a summary of the main points brought up on the day together with some apposite case studies showing what works well now. 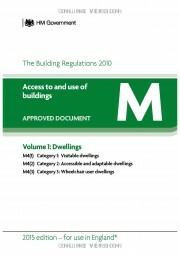 For further information, and also to download the new “Approved Document M – Volumes 1 & 2”, visit the Gov.UK website. A detailed guide to related legislation, guidance and good practice. 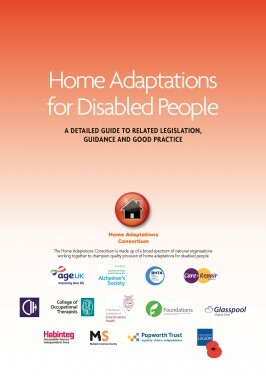 The aim of this guide is to provide local authorities and those charged with service planning and provision clear and comprehensive information about the legal position concerning home adaptations and specifically Disabled Facilities Grants (DFG), alongside examples and ideas for service delivery. 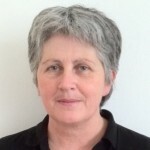 It was produced by the Home Adaptations Consortium at the invitation of the Coalition Government in its November 2011 housing strategy “Laying the Foundations: A Housing Strategy for England”. It was published in 2013 by Care and Repair England. Download “Home Adaptations for Disabled People” from Care and Repair England. 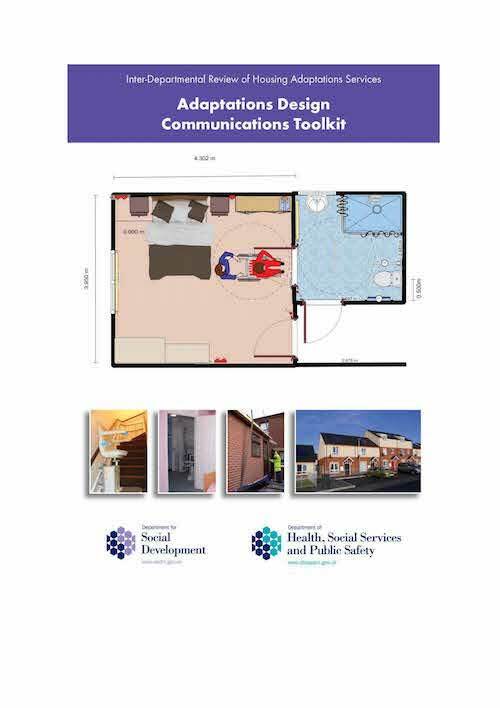 A toolkit launched in Northern Ireland that aims to help disabled and older people visualise and discuss proposed housing adaptations and aims to streamline the adaptations process. For updates on new courses, events & publications!